Habitat’s mission depends on our generous supporters and the lifeline of volunteers that dedicate their time to build with us. Are you looking to get involved in your community? Help us build homes, communities, and hope. Join us in our mission by volunteering at our Habitat ReStore or at our construction sites. You don't need to have previous experience building homes. Please give our volunteer coordinator 2 weeks notice for groups of 10 or more and 1 week notice for individuals. If you have any questions, please call our office. Do you have a group of 4 or more volunteers? We will work together to find the perfect project on the best date for your team. We welcome all school organizations, church groups, and friends to join us! Is your corporation looking to build with Habitat? Sponsor a Day is the perfect way to get your team involved with our mission. Habitat homes are built through the generosity of our donors and volunteers. The building materials are purchased with financial support from corporate, community and faith-based sponsors. As a sponsor, your team or corporation gets priority in volunteer scheduling. 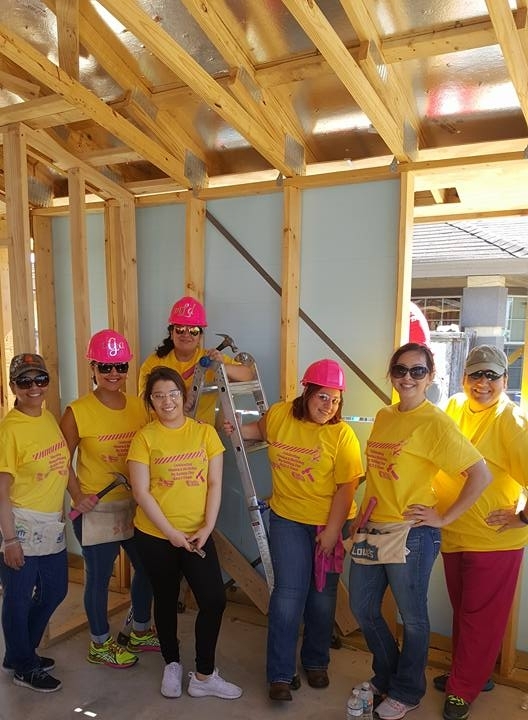 You do not need to be part of a group to volunteer with Habitat Laredo! Check out our volunteer calendar for our next available volunteer date.